Well, yesterday we didn’t put on too many miles because we just drove around the Des Moines, Iowa area. But today, we’re back on the road. Hello again, I’m Don Milne and as always, I’ll be your guide as Roadtrip-'62 ™ views America from the perspective of 1962. Today is our twenty-fourth day of travel along historic US-6, where we’ll be back through the farm fields and small towns of Iowa. As usual, there will be a few surprises along the way. I expect to end the day at Council Bluffs, Iowa, where we hit the halfway point of modern US-6. So by the end of the day, we will have traveled about 1550 miles. Back in 1962, we would have needed to drive another 300 miles to get to the halfway point. If you see anything you like, get yourself out on the road and enjoy it in person. You might be having fun on this virtual roadtrip, but there's still nothing like the real thing! Also, click on an underlined word below any time to learn more about the places on the trip. Let’s get back on the road again! Time to leave Des Moines on old US-6. The route of US-6 through Des Moines has been changed many times over the years, but strangely it is now on exactly the same route it used between 1934 and 1958. Before 1934 it ran right through downtown, but the current bypass was constructed that year. With construction of parts of I-80 beginning in 1958, US-6 was moved onto part of the freeway west of town and changed to run along the Raccoon River instead of its former route to Adel, Iowa. This change only lasted a few years, as US-6 was back on the old road by 1966. It’s still there, so we will not use the freeway but will head west through Adel. As we drive along the north side of town on Euclid Avenue and Douglas Avenue, we can see lots of suburban development left from the period of the 1950s and early 1960s. We pass abandoned gas stations with soaring, triangular canopies, billboards, obviously repurposed buildings, and Quonset-style roofs. There are even a few old motels like the Royal Motel or conversions to weekly or monthly lodging. We also find half abandoned shopping plazas, and one plaza that has a store we need today, the Hy-Vee Supermarket just west of the Des Moines River. Before we leave town, let’s pick up some snack food for the trip. Hy-Vee Food Stores began in Beaconsfield, Iowa, in 1930, where Charles Hyde and David Vredenburg (the “H” and “V” in the name) opened a small store. The company became employee owned in 1960. By 1961, Hy-Vee had enough stores throughout Iowa that they began advertising on television and bought its first computer system. We’ve seen several along the way and that’s just the sort of supermarket we could have stopped at in 1962, so let’s shop. One of the items to buy is some Hiland Potato Chips, "The chippest chips around." At one time, Hiland was the local brand of chips, with factories in Des Moines & Davenport, Iowa. But by the late 1980s, it had been sold to New York-based Curtice Bums Foods. The Des Moines plant was closed in 1993 and production was moved to Lincoln, Nebraska when the company was sold again, this time to Weaver Potato Chip Company. Besides chips, let’s buy some Hiland Caramel Corn for my wife and some donuts and milk for breakfast! The buildings begin to look a bit newer after we make the turn onto Merle Hay Road. If you would rather stop to eat breakfast, instead of scarfing down donuts like I sometimes prefer, you might try the Waveland Café. It’s only a little over a mile off Merle Hay Road. I don’t know how long it’s been here, but the building and neighborhood seems early postwar, so there should have been some restaurant in the commercial strip here. Recent reviews mention the great hashbrowns, but don’t get confused with the Waveland Coffee Shop next door. Crossing through a big city on the old roads, I understand why this country built so many freeways. It literally takes hours to cross town at 35mph, stopping for signals, and dealing with the congestion of traffic turning into and out from driveways. We finally see some farm fields after we cross the I-35 beltline freeway, over eight miles from downtown. In just a couple more miles we reach Clive, Iowa, home of Reames Egg Noodles. For over 60 years, the Reames family and others have been making noodles here. Though now part of the T. Marzetti Company, the thick and hearty egg noodles were developed in the Reames' family kitchen here in Clive. Clive is a young city, incorporated in 1956. In 1960, the population was only 752, and the growth since incorporation is due to its becoming a bedroom suburb of Des Moines. Today it holds over 15,000 people and lots of very recent development. There is just a small bit of history here from before Des Moines swallowed up the town, though. The Clive Historical Society manages the Swanson House, Clive Depot, and railroad caboose properties in the historic center of Clive. The Swanson House served as a general store and post office from 1911 to 1929. These buildings are open to the public, but likely were not back in 1962. Waukee, Iowa is next and seems to be a bit too far to be part of the Des Moines metro area, though the former Chevrolet/Pontiac dealership from Adel, Iowa was moved here about 10 years ago to capture some of that market. Up ahead, Ortonville, Iowa seems to be a ghost town now. Our highway was recently widened, which removed a few more buildings, and there are only a few houses and some small warehouse or light manufacturing type businesses remaining. What used to be here was a circus town of about 40 folks. The Orton family were circus people who wintered here until their circus folded, sometime before World War II. We would have seen only a little more back in 1962 than today: maybe a gas station and some more houses. Soon we come to a real town, Adel, Iowa. Adel is one of only a few towns in Iowa with some brick streets in its downtown area, which is somehow fitting because they make bricks here. The first brickmaking business in Adel began in 1878 and other brick and tile businesses followed. Aerial photos show numerous water-filled, abandoned clay pits surrounding the town. Some of these businesses consolidated under the name United Brick and Tile. The company once had 32 plants in Iowa, which was pared down to 10 by the 1930s and included some historic beehive kilns at the Adel plant. In 1958, the company was purchased by Sioux City Brick & Tile. The plant remains one of the largest employers in Adel, even though bricks are now manufactured almost entirely by machine. An average of 15 or 16 trucks haul bricks out of Adel every day but we probably have not seen any along US-6, as they mostly travel the I-80 freeway nowadays. In addition to the brick streets, the historic feel of downtown is enhanced by the Dallas County Courthouse. 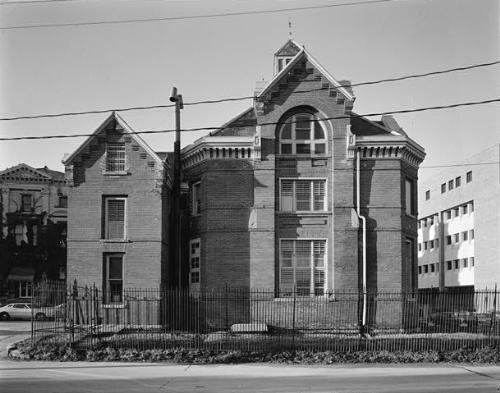 It was built in 1902 and listed on the National Register of Historic Places in 1973. This courthouse was designed by the Des Moines architectural firm of Proudfoot & Bird, which also designed the Jasper County Courthouse we saw two days ago. This building was modeled on a French castle, is constructed of Bedford stone, and features a 128 feet tower. In recent years, an ongoing renovation project has resulted in courtrooms and halls being repainted in their original color schemes and the rotunda being restored. Also of interest is one of the oldest remaining Pratt truss bridges in Iowa. The Adel Bridge was built in 1882 and carried vehicular traffic until recently, including US-6 until construction of a new highway bridge in 1932. If you’re in town in early July, you could see the Dallas County Fair, which has been held since long before 1962. Before we leave, we cross US-169. This highway runs 966 miles from Virginia, Minnesota to Tulsa, Oklahoma. In 1962, it continued farther north to the Canadian border at International Falls, Minnesota and farther south to Kiefer, Oklahoma. Today, US-6 joins US-169 southbound for six miles to the I-80 freeway, but before 1962 it ran west to Redfield, Iowa so that’s our route. Redfield also has a brickyard, Glen-Gery, which we pass as we enter town. They supplied all bricks for the 2004-2006 renovations of Kinnick Stadium, back in Iowa City, Iowa. Apparently, this whole area is underlain by rich clay deposits. Another business using the clay was Midland International Tileworks, a ceramic tile manufacturer that would have sold tile all over the United States in 1962. Maybe we’ve seen some in the bathroom of a small motel on this roadtrip. Unfortunately, that business is now closed. Redfield is a place to get back to nature for awhile, as it has two conservation areas nearby. Hanging Rock Park has some great scenery due to the rock formations, including its namesake cut into the sandstone along the Middle Raccoon River. Hanging Rock has been a major landmark for over 150 years, marking the location of a ford over the river used by wagon trains heading west during the mid-1800s. The park was probably not a county park in 1962, but the river has always allowed canoeing. The rock formations and large boulders in the river provide a scenic and leisurely trip and you can fish for walleye and catfish as you paddle. The park also features restored prairie areas and interpretive farm buildings in addition to some trails. While Hanging Rock Park is north of town, Big Bend Wildlife Area is to the south. Big Bend caters more to hunters, with turkey, pheasant, quail, wood duck, white-tailed deer, red and gray fox, mink, and raccoon in the area. You may also see some protected species, including include bald eagles, river otters, bobcats and osprey. The trails around the re-established prairie and woods are not developed, and you may see some rare plants such as creeping bush clover, wild honeysuckle, woodland horsetail, and wild senna, and cream white gentian. A comfortable canoe trip would be from Hanging Rock Park downstream to Big Bend. Farther upstream from Hanging Rock there are small rapids, but the average depth is only about 3 feet. Commercial canoe liveries will get you on the river, though they may be a more recent development. You might remember that US-6 is also known as the Grand Army of the Republic Highway, though we haven’t seen any signs for awhile. Here in Redfield we find an original GAR Lodge, which is the only remaining building from the original town located on its original site, due to a 1900 fire. The Grand Army of the Republic was an organization of the veterans of the Civil War, with the purpose to assist the widows and children of men who died in the war or who were so seriously wounded that they were unable to work. The Marshall Lodge building was constructed sometime in the 1880s and members gave it to the local American Legion Post in the 1940s when the last living member of the local GAR died. The GAR itself was dissolved in 1956 when its last member passed away. In the 1990s, the building was donated to the Dallas County Conservation Board, which has restored it and runs a museum on the ground floor. Even though it was not open in 1962, it’s a good place to stop for some background on the namesake group of our Grand Army of the Republic Highway. If I were here in June, I would stop at the Old Settlers Celebration, which dates from 1887. It has grown from a simple family style picnic to three days of carnival, live entertainment, parades, arts and crafts, street dancing, good food, and good times! It attracts crowds from all over central Iowa and even beyond. Instead, it’s off to Dexter, Iowa for us. Dexter’s main brush with history is a gun battle between bank robbers Bonnie and Clyde and law enforcement. The location was an abandoned amusement park, Dexfield Park, just north of town and the date was in July, 1933. Bonnie and Clyde and their gang were here to tend their wounds from a previous gun battle near Platte City, Missouri and were discovered by a local farmer. During the shootout, Clyde’s brother "Buck" Barrow was killed and his wife Blanche was captured due to injuries that prevented her getaway. The park has long since reverted to fields and woods, though some historical markers were installed in 2007. Pictures, book and artifacts are on display in the Dexter Museum, downtown, but in 1962 you would have been on your own to find anything. Dexter is also home to The Roundhouse, a unique elliptical, concrete block building which serves as the Community House for special events. It was built in 1916 and the architect was Major Matthew Leander King, a grandfather of actor Nick Nolte (I wonder who worked that out?). Besides the elliptical shape, the 30-foot high domed roof has no interior support; only the walls hold it up. When the local schools had no gymnasiums, the local school district used the building for school plays, musical presentations, graduation ceremonies, and basketball games. The facility can be set up with bleacher seating for 1,000 spectators. It continues to be used for community and social events such as dances, theatrical productions, recitals, wedding and anniversary receptions, reunions, church services, club meetings, flea markets, and sports activities. A couple of days ago, in Newton, Iowa, we discussed the former headquarters and laundry machine products of the Maytag Corporation. Dexter also had a washing machine manufacturer, which is still in business up in Fairfield, Iowa. Dexter Laundry began here in 1894 and around the 1950s changed from consumer products to solely commercial laundry products. Perhaps we’ll see some of their machines at the next laundromat we stop at. Speaking of stopping, we should make a stop at Drew’s Chocolates before we leave town. Drew’s began in 1927 when Helen Drew began making candy in her Dexter home. They are still in the same location, with their retail shop in the home’s basement. The display is filled with treats and the aroma is chocolate. Let’s get some more food for the road, perhaps some fudge, buttery caramels, or their Drew Drops: roasted pecans and vanilla caramels covered in chocolate. The countryside is somewhat hillier now, as we have left any major river valleys. We’re on the edge of the Loess Hills area, some of the most fertile land in the Midwest. Turning west as we leave Dexter, the utility poles are painted white for about 8-10 feet up, and this highway has returned to its heritage as the White Pole Road. Before the days of numbered highways, many routes were named by organizations that worked to improve the roads. The original White Pole Road was designated in 1910 and followed along the Chicago, Rock Island and Pacific Railroad from Des Moines to Council Bluffs, Iowa. Beginning in Dexter, we will be close to the railroad line all the way to Atlantic, Iowa, where the track leaves us before we see it again in Council Bluffs. For quite a bit of the morning, we traveled along the line but the track was gone, replaced by a bike trail. Today only the utility poles are painted white, but in bygone times the fence poles along the way were also painted white and the road earned the nickname “Great White Way”. In 1965, the I-80 freeway was completed, severely reducing traffic on old US-6. But the towns along the way have repainted the poles and officially renamed this the White Pole Road to try to increase tourism. In the Adair area, they have even painted the sign posts. This route has gone full circle over the past 100 years! As you approach Stuart, Iowa, you can’t miss the huge modern wind turbine with the name “Stuart” painted on it. Of course, that was not here in 1962. Some of the buildings that were here back then are currently being restored so we can better enjoy them. All Saints Catholic Church was built in 1908-1910 and was in use until 1995, when an arsonist set it ablaze in an attempt to, "…take the heart and soul out of a small Catholic community.” He severely damaged this rare example of a combination of Byzantine Revival and Romanesque Revival styles of architecture, but only revived the community. The parish built a new church, designed by the Renaissance Design Group of Omaha, with seating for 400 people, and sold the old building. Today, we can again see the 90-foot dome thanks to the efforts of a group named the Project Restore Foundation. The dome was rebuilt with the original stone, which had been numbered and saved. It was originally covered in copper on the exterior, which melted in the fire. But the $4 million restoration replaced it with a brand new copper covering, so it retains much of the look we would have seen in 1962. Unfortunately, the interior decorations, which included rare woods, hand painted frescos, gilding, and stained glass windows from Munich, Germany, were destroyed. The renovated interior was given a modern appearance with exposed stone and brick on the walls, which completed in 2010. A visit is easy, as the former church is now the Saints Center, a community cultural center for concerts, school events, weddings, conferences, and more. Another building being renovated, by some of the same people responsible for the church, is the Hotel Stuart. Tom Smull, a past president of the Iowa Historic Preservation Alliance, helped raise the funds for the church renovation. He and his wife, Liz Gillman, have taken on the hotel renovation to help create a historic district, “…on the White Pole Road, so people that are traveling cross-country from L.A. or New York can stop off and get a little slice of Iowa here.” The 1906 hotel is indeed historic, as Beat Generation author Jack Kerouac stayed here during his classic roadtrip immortalized in his 1957 novel “On the Road”. We can’t stay at the Hotel Stuart just yet; the interior renovations are still underway. Just across the street from the hotel, the old Rock Island Depot is also undergoing restoration! The depot is unusual because it was built in 1879 with material from a demolished depot at Rock Island, Illinois. Before beginning restoration, it had been empty for almost 30 years, but we would have seen passenger trains stopping here in 1962. The idea of a historic district gets a little more help from the former First National Bank building, which is now the police station. 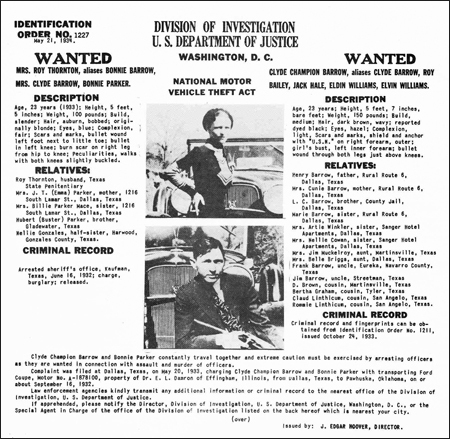 The bank was robbed by Bonnie and Clyde in 1934, which is attested to by lettering above the entrance door, as a reminder. The other bank in town, First State Bank, has been serving the Dexter, Redfield, and Stuart areas since 1944. The local festival, Good Egg Days, has been held since 1961, so we could have seen that also. It’s currently held in mid-June and has all the typical small town festival happenings like a parade, food vendors, street dance, live music, talent show, carnival, and flea market. It even has something that fits this farming country perfectly: a National Pedal Pullers Association sanctioned kiddie tractor pull! If you want a bit of exercise before you leave town, you might try Stuart Bowl, a small 8 lane bowling center like we saw some of back in Ohio and Indiana. I’m just driving on though, to Menlo, Iowa, though. The city of Menlo was founded in 1869 by Iowa’s first millionaire, Terrace Hill. We saw his home in Des Moines yesterday, which is now the official Iowa governors’ mansion. The most interesting attraction I found here is the Friendly Gas Station Man. He is a huge neon sign in the form of an old-fashioned service station attendant in a blue uniform. He was erected in 1934 for Harry Kalbach’s Menlo Oil Company by the Nebraska Neon Sign Company in Lincoln, Nebraska. The sign advertises White Rose Gasoline, which has connections to both of our roadtrips! White Rose was a product of the National Refining Company of Cleveland, Ohio, on US-6. It was purchased in 1950 by the Ashland Oil and Refining Company of Ashland, Kentucky, on US-23. White Rose gasoline was introduced in 1905 and was sold in many states until the 1950s. It’s too early for lunch, but I kind of wish it weren’t. The Menlo Café serves a pork tenderloin sandwich, which is something I’ve seen mentioned all through Iowa but have not ordered yet. Here, it hangs way over the sides of the bun, which is just what a sandwich should do in my book. It’s a rather typical small town café with local photos on the walls and both an interior and exterior that have been redone several times. The building likely held some restaurant in 1962, even if the name was different. But I’m motoring on to Casey, Iowa, where we find a chance to buy a piece of 1962 for ourselves. Casey has a number of antique stores along its brick main street. Rather oddly though: nearly every town we’ve passed through in Iowa has had at least one Casey’s Convenience Store, but there is not one here in Casey, Iowa! Adair, Iowa has a beautiful concrete arch bridge over the railroad known as the Adair Viaduct. It was opened to traffic in 1924 and is listed on the National Register of Historic Places. The balustrade style guardrails and the towers at each end are rather rare examples of aesthetic detail for a state highway agency. Adair was the scene of the first successful train robbery in the American West. Way back in 1873, Jesse James’ gang thought they would be stealing gold from the Rock Island Express, so they derailed it. They only found $3,000. No real reason to stop here, unless you want to visit Adair Feed and Grain Co., which started in 1961. We pass some modern “white poles”, new wind turbines all to the south and west of Adair, as we continue west to Anita, Iowa. Here’s where we have to make a decision on lunch. Here in Anita, the Redwood Steakhouse was established in 1947, so it’s old enough for our purposes. They claim to serve Iowa's number one onion rings, and I love onion rings, so I guess that’s the one for me. Alternately, there is the Wiota Steak House & Lounge, recommended by an acquaintance of mine, up ahead in the next town of Wiota. And finally, in Atlantic we could stop at the Pines Steakhouse, in business since 1939. If you try one of these, please let me know what you think. If you’re into livestock and want to see a live auction, you could stop at the Anita Livestock Auction, housed in a facility built in 1952. You can see all varieties of cattle, sheep, and goats. One place we won’t stop is Lake Anita State Park. Though the park was dedicated in 1961, it was still undeveloped by 1965, so there was nothing for us to see. Today, it has a couple of trails around the artificial lake, which was formed by damming a branch of the Nishnabotna River. We’re not staying the night here, but there is one small, older motel. The Anita Grand Motel has just 10 rooms and the new owners have been updating and refitting all the rooms. There’s a Knotty pine lobby for that old-fashioned feel, too. The Redwood Steakhouse is just west of the motel, at the west edge of town. To read during lunch, I’ll pick up a copy of the Anita Tribune, Anita's local newspaper since 1883. After lunch, we come to Wiota, Iowa. Midway between Wiota and Atlantic, Iowa, we meet US-71 and travel together to Atlantic. The original 1926 of US-71 has remained largely unchanged, with few relocations or abandonments due to interstate freeways. The only significant change is shortening the route at the south end, where it used to run to Baton Rouge, Louisiana. Today, US-71 runs from International Falls, Minnesota at the Canadian border to a point between Port Barre and Krotz Springs, Louisiana, about 1532 miles. If you travel US-6 yourself and want to camp in a vintage RV park, you might stop at Turkey Creek Lodge and RV Park here in Atlantic. There would have been fewer places to camp back in 1962, because some of the parks we have seen are too new, such as Lake Anita State Park that we just passed. Even rarer than an old RV park might be an old laundromat. Atlantic has one of those too, the Mulberry-Mat Laundromat, just west of Turkey Creek Lodge on US-6. Might be a good time to get our laundry done. Small-town softdrink bottlers are also rare, though back in 1962 many towns had one. Someday, I’ll do an article on the lost soda bottlers since 1962. Atlantic’s bottler is not lost however; they have an independent, locally-owned Coca-Cola bottler. And the building is a beauty, with cast concrete or stonework of the Coca-Cola script logo and even the classic bottle! These were standard design elements for the company at one time, and a Coca-Cola plant near my home town has the same elements. The company has been here since 1901, bottling oldtime Coke products including Coke, Sprite, and Fanta flavors right in the center of downtown. Because Atlantic has so many older businesses, it almost seems to be in a time warp. For example, Lindeman Tractor has been serving farmers here since 1917. Or if you need a few items for the road, stop at Bonnesen's Five & Ten Store, established in 1951. The prices certainly have gone up since then, but they still have a bulk candy counter and lots of merchandise that marks them as a true dime store. Atlantic is even one of the smallest cities in Iowa to still have a daily newspaper. The Atlantic News Telegraph’s editor in 1934, E. P. Chase, was awarded the Pulitzer Prize for Editorial Writing that year. The newspaper is now housed in the old railroad depot. You’ll also find some newer points of interest in Atlantic, such as their Museum of Danish America, Sunnyside Putt-Em-Up Miniature Golf, a Coca-Cola Museum, and this year’s 23rd annual Coca-Cola Days. As we leave Atlantic along the Nishnabotna River, I notice that the white poles have disappeared west of Atlantic. Though the original route continued west, the modern tourism development group does not. We continue west though, to Lewis, Iowa next. Let’s stop first at a little scenic secret, the Rock Cut. These limestone rock features are the result of a project to straighten the East Nishnabotna River, which was done in the 1920s. We can see it either from Cold Springs Park or the Hitchcock Nature Trail. I’m not sure if we could have entered from the park in 1962, or we would have had to see the rocks from the river. The Cass County Conservation Board, which operates Cold Springs Park, was established in 1958, so maybe this was one of their early parks. Also in Lewis, we find another landmark on the Mormon Trail we’ve been following along US-6. The Nishnabotna Ferry House is being preserved by the Cass County Mormon Trails Association and will interpret not only the trek of the Mormon Handcart Companies of 1856-57, but also other trails through the area. Immigrants going west to Colorado and California for silver and gold, to Oregon for land, and the Underground Railroad Network that smuggled slaves from the southern states to Canada during the Civil War, all passed by here. Though it was the home of the ferry keeper, when the river was straightened in the 1920s the result was that the house is not on the riverbank anymore. Another National Historic Landmark as of 2006 in Lewis related to the Underground Railroad is the Hitchcock House. 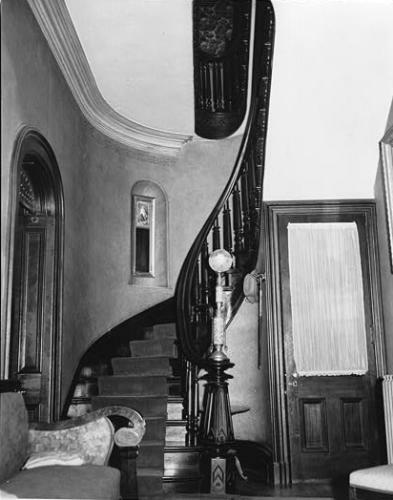 This house had a secret room in the basement to hide slaves and was restored to its earlier condition in 1983, so it may be in better shape than we would have seen in 1962. It’s also in Cold Springs Park. At Oakland, Iowa, we cross another US-numbered highway that begins at the Canadian border. Route US-59 begins at Lancaster, Minnesota and runs 1911 miles to the Mexican border at Laredo, Texas, most of the time within 100 miles of US-75. Though it has been designated part of the NAFTA Corridor Highway System, it is not really a major highway and the entire length in Iowa is an undivided two-lane road. At the cemetery north of town on US-59, they have a nice Civil War monument; a theme we’ve seen in small towns all along US-6. We run alongside an abandoned railroad line through Oakland, and behind the main street of downtown. Leaving town, the hills we go up and down are higher and more frequent out here, as the streams cut their way down to the nearby Missouri River. Since at least Lewis, for those of you in the eastern United States, a major difference in the countryside here is the lack of trees. There are no wooded areas, not even woodlots at each farmstead. The trees occur only along stream banks or as plantings around houses and in towns. Otherwise, it’s rolling farm fields of crops as far as you can see. As we approach Council Bluffs, Iowa, we take a detour off present day US-6, onto part of the old road. In 1962, US-6 came into Council Bluffs on McPherson Avenue, but has since been rerouted north onto a straighter alignment. The reason for the move appears to be a runway expansion at the Council Bluffs Municipal Airport, which has cut off part of the old route. Nevertheless, we will drive in on old US-6, except for the missing link through the airport. It’s currently signed as county G-60, and the first sign that greets us after turning from US-6 notes that this is “not a thru road.” Much of the area we pass through before the airport is now recent, large suburban homes on large lots. McPherson Avenue is on a ridge that gives good views of the unsubdivided farmlands beyond. On the other side of the airport, the development is smaller, older, and much more rural. Interesting that development has leap-frogged the airport. We follow a small stream down into Council Bluffs and run under a beautiful, old steel railroad bridge that soars over the creek and the road. After we cross Mosquito Creek and the I-80 freeway, we arrive in town. The current US-6 routing meets us just east of Jennie Edmundson Hospital and rejoins us a few blocks west. The Lincoln Highway also meets us here, on what used to be US-30 ALT. The Lincoln Highway designation is older than the numbered routes we’re used to. It ran from New York to San Francisco, though not all of it is signed today like it is here. The Lincoln Highway Association was formed in 1913 to promote a single, signed, paved route across the continent. When the US numbering system was adopted in 1926, much of the route was given the US-30 designation, including the section that ran with our US-6 through Council Bluffs and Omaha, Nebraska. By 1929, a new bridge was completed across the Missouri River that resulted in this section becoming US-30S, and later US-30 ALT, which it remained until 1969. Highway US-75 also meets us here, on its 1239 mile journey from the Canadian border at the Port of Noyes, Minnesota to Galveston, Texas. This highway has been decommissioned or relocated in many places since 1962. The Port of Noyes was closed in 2003 in favor of using I-29, the portion southeast of Dallas, Texas was replaced by I-45, and locally, the route was moved into Nebraska in 1984 to replace US-73. Because of this, we now see US-75 first in Omaha instead of Council Bluffs. Complementing the crossing of the Lincoln Highway, Council Bluffs also has a Lincoln Monument. It’s a stone pylon erected in July, 1911 to commemorate Abraham Lincoln's visit to the site in 1859. The monument is located just a few blocks north of US-6, across from Fairview Cemetery. President Lincoln came to view the area and selected Council Bluffs for the eastern terminus of the first transcontinental railroad built in the United States. Local engineer Grenville M. Dodge met the future President here and assured him that the Platte River Valley would become the route of the Pacific Railroad. Seven years later he would be the chief engineer of that project and he is often credited with convincing Abraham Lincoln to bring the first intercontinental railroad through Council Bluffs. The completion of the transcontinental railroad in 1869 played a major role in the development of both Council Bluffs and Omaha, pushing Council Bluffs west to the Missouri River from its historical beginnings near the bluffs. A memorial to the construction, the Golden Spike Monument, is located here. It was erected in 1939 for the premiere of the film "Union Pacific" at the junction of the Union Pacific and Central Pacific tracks. The monument consists of a 56-foot concrete railroad spike reproduction, painted gold. Speaking of railroads, Council Bluffs has two excellent railroad museums, the RailsWest Railroad Museum & HO Model Display and the Union Pacific Railroad Museum. Neither of these was a museum in 1962, but RailsWest is housed in the former Rock Island depot, so we could have stopped in there. Let’s stop today and see the museum. This 1899 depot building is the last survivor of a half-dozen passenger depots which were built in Council Bluffs. The last Rock Island passenger trained left the depot on May 31, 1970 and in 1985, the City of Council Bluffs leased the depot to the Historical Society of Pottawattamie County and the Greater Omaha Society of Model Railroad Engineers. It has since been restored as a tourist attraction and information center. In addition to the displays of actual locomotives and sleeping cars donated by the Union Pacific Railroad, there are railroad artifacts and maps, and a large operating model railroad. The Union Pacific Railroad Museum is located in the unique Beaux Arts-style building that was previously the Council Bluffs Carnegie Free Public Library. The library moved to a larger building and the Union Pacific Railroad Museum opened in 2003, much too recently for us to visit. The museum houses one of the oldest corporate collections in the nation, that of the Union Pacific Railroad. Another old tourist attraction is the unique Squirrel Cage Jail. I doubt it was much of a tourist attraction in 1962, as it was still in use as the county jail until 1969. The jail was built in 1885 and is unique because of its cell arrangement. It consists of three floors of revolving pie-shaped cells inside a cage! This unusual design was the invention of William H. Brown and Benjamin F. Haugh, who received a patent for it in 1881. The intent was to provide a maximum of security with a minimum of jailer attention. The jail is operated by the Historical Society of Pottawattamie County and includes the cells, office areas, and kitchen. It is one of only three surviving revolving jails in the country. The others are in Gallatin, Missouri and Crawfordsville, Indiana. All three are museums today. Before we look for our motel tonight, lets drive up to Lewis and Clark Monument Park. The park was dedicated in 1936 to honor the expedition of Lewis and Clark. They embarked on their journey up the Missouri River to the Pacific Ocean from Council Bluffs in 1804. Renovations to the park were completed in mid-2002, probably fixing signs, parking lots, and other infrastructure. I’m here for the great views across and up and down the river. After reading a few signs, it’s west across town for us to our motel. We pass through downtown, which was the city’s main retail center until after the completion of the Broadway Viaduct in 1955. This overpass, coupled with ring freeways around town and ill-advised urban renewal in the 1970s, led to the decline of downtown here, as in so many other large cities. A building we would have seen almost brand new is the Post Office and Federal Building, opened in 1959. Other older historic buildings remaining downtown include the 501 Main Building, the substantially altered City National Bank Building, the United Methodist Church, and the State Savings Bank Building, which is listed on the National Register of Historic Places. The Kanesville Tabernacle was reconstructed in 1996 and is operated as a museum by the Latter Day Saints Church, as the community surrounding it was a major outfitting point on the Mormon Trail. Previously known as Kanesville, the town was renamed Council Bluffs after the majority of Mormons left for Utah by 1852. I mentioned General Grenville M. Dodge in connection with the Transcontinental Railroad earlier. His involvement in building it allowed him to accumulate a good fortune, and he parlayed that into political and business deals that included organizing a bank. He built a handsome Victorian home here in 1869, overlooking the Missouri River and when the home passed out of the Dodge estate in 1950, it soon became a museum. In 1961, the General Dodge House was designated a National Historic Landmark. This fourteen-room, three-story mansion has elegant architectural features such as parquet floors, cherry, walnut and butternut woodwork, and conveniences quite unusual for the period including central heating and hot and cold running water. I think we can just fit in a visit before they close. We’re staying at a Howard Johnson’s Motor Lodge tonight...well, we’re staying at the building, but the brand today is Quality Inn & Suites. Though it was under construction during 1962 and opened in 1963, it’s the closest I could find to our year and is certainly representative of lodging at that time, opening with everything for the traveler including a heated indoor pool, air conditioned rooms, free TV, and cocktail lounge. They knew where to build it too, it’s right at the I-29 interchange with US-6, so there was plenty of traffic. Maybe that’s why it is still in business 52 years later. There are a few exterior changes since the Howard Johnson’s days, including removing of the trademark cupola on top of the restaurant, new paint, and some sort of addition and roof changes that mask the original lodge office building. The restaurant is closed. This location lasted only 20 years as a Howard Johnson’s before changing to some other name. Strangely, it became a Howard Johnson’s once again from about 1990-1993. These name changes are typical for old Howard Johnson’s, and there are now only two of their restaurants remaining in the world. Lake Placid, New York and Bangor, Maine have the only ones left. Since the restaurant is closed, let’s see what else is nearby. I’m certain we won’t find gas for the price in the photo above. This stretch of US-6 on Broadway looks like an older commercial strip, with a number of buildings having remnants of unusual sign supports, some vacant lots where you can see evidence of demolition, used car dealerships, and a mix of very new and older buildings that looks like constant redevelopment from the 1950s onward. There’s a newer Dairy Queen building that may have once been a smaller walk-up style. There’s also a Village Inn Restaurant, and a lot of newer fast-food places. The Village Inn chain was founded in 1958 in Denver, Colorado and by 1961 they had their first franchisee. Perhaps this restaurant was here by 1962, or under construction like the Howard Johnson’s down the street. One of their trademarks is “The Best Pie In America”, which sounds inviting to me. Another possibility is in the north end of Council Bluffs, farther up Broadway. Christy Creme opened in 1954 as a small, walk-up ice cream spot in the owner’s front yard. It changed hands several times but today is again owned by someone in the original Christiansen family. The original building went through many remodelings and was completely replaced by a modern, sit-down restaurant in 1995. They are known for their site-made soft serve sherbets in various flavors. While I love a good ice cream, I think I’ll go with the pies at Village Inn tonight. After dinner, we have one more place to stop tonight. Back downtown is Bayliss Park, Council Bluffs’ first park, occupying a full city block and created in 1854. It continues to be the local "town square", hosting all kinds of public events including arts events, an outdoor concert series, and outdoor movies in the summer: maybe we’ll catch some fun tonight! Samuel Bayliss donated the block to be used for the county courthouse, but the county decided on a different site and the city planted trees and erected fences to use this block as a park. There are a number of monuments that have accumulated over the years, including a Spanish War Veterans Monument, a Civil War Memorial, a Mormon Trail Monument and the star of the park, Bayliss Fountain. The original fountain was built in 1890, and was eventually nicknamed "Old Rusty" after many years of use. By 1959, it had only a weak flow due to layers of rust in the cast iron structure. It was also subject to sway and leaking under the sidewalk. We would have seen it in that poor state in 1962, because it was not removed for repairs until 1969. Two years later, it was replaced and the old fountain was moved to the General Dodge House. The old fountain was eventually moved back to Bayliss Park for a few years in 1999, and then to its current location on the corner of Pearl and Broadway. After looking at the old fountain and monuments, we can enjoy the new Bayliss Fountain. A complete new fountain was installed in 2007 as part of major park renovations, along with a new plaza around the fountain for viewing its light and water show. The new fountain has interactive water features, special nozzels and jets, a scuplture on top, and includes a colorful changing light display. Back by our motel but a couple miles south, the park along the Missouri River has a prairie area on the floodplain with hiking and biking trails that would not have existed in 1962. Located here is the Western Historic Trails Center, providing information on trips north if you wish to follow the Lewis and Clark Trail, or for trips west following the routes of the Oregon, Mormon, or California Trails. The building has an unusual distinction of being operated by the State Historical Society of Iowa, though it was designed and built by the National Park Service. It’s too late to visit tonight, but you can see a preview of the center’s Lied Historical Building and grounds in their 6½ minute video. Good night from Roadtrip-‘62 ™ !